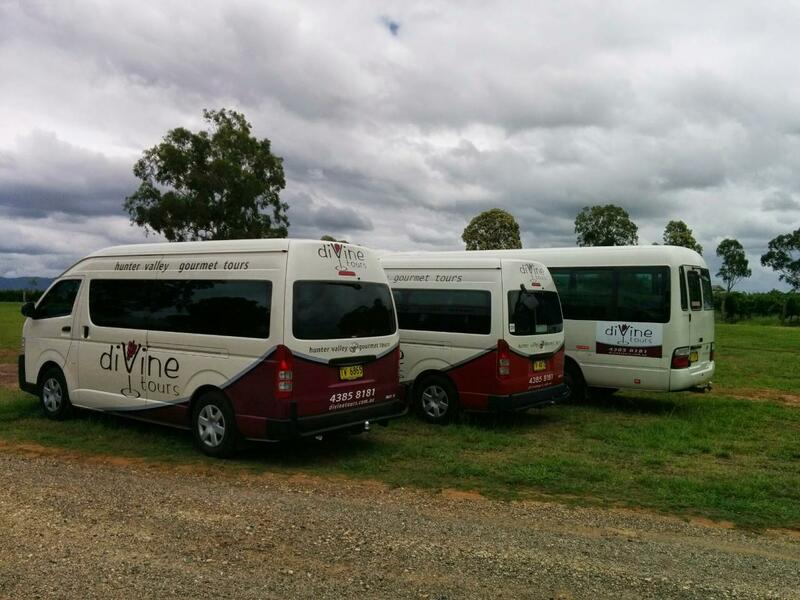 Our Private Hunter Valley Wine Tour is ideal for small groups. Not only do you have exclusive use of the minibus, you can have input into the itinerary if you wish. The private tour includes the hire of the modern vehicle, driver/tour guide and the organisation of your itinerary. This is based on 7 hours from pick up to return. Additional time can be added at $50 per hour. Other expenses may include lunch and wine tasting fees. There are numerous lunch options ranging from BYO picnics to fine dining. Some cellar doors charge a group tasting fee. We are happy to organise a great day that will be free from these tasting fees - see sample itinerary below. Although there are no tasting fees charged in the above itinerary, these producers are sharing their time and wine/products with you in hope that you will make a purchase.